SIME 6013100 AUTOMATIC AIR VENT 3/8"
Buying a SIME 6013100 AUTOMATIC AIR VENT 3/8" from PlumbNation is fast and reliable with a number of delivery options available to suit your needs when you are purchasing a spare part for your heating appliance. Sime spares are manufacturer quality spare parts that can save you valuable time and money extending the life of your boiler. 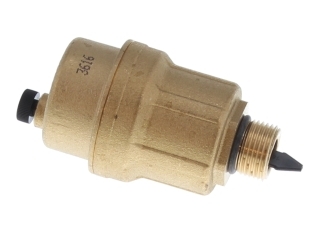 PlumbNation stock a comprehensive range of boiler spare parts from Sime spares. With a dedicated sales and customer service team based in the United Kingdom, we are happy to help with any of your technical or sales enquiries.